It was terrible for me in Alabama. I heard the fewest gobbles I have ever heard. Killed 2 birds, but none on my private land and it ALWAYS produces. The Bama trip produced only one bird, but it was a blast. 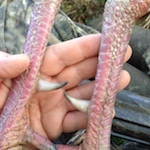 Locally I heard more gobblers on my lease property than I've ever heard in one season. I had multiple gobblers sounding off at every part I went to, and I covered almost the entire lease before I filled my one tag on day 11. I saw five jakes and heard another 2 dozen gobblers and only two of us got birds this season on that property so next year should be jam up good. Of 8 tags I have one left for Michigan. But I need a new hunting shirt before I go there next week . Definitely my toughest season yet and the most I’ve ever worked before and during season. Arkansas season was very rough. I only know a few people that killed birds. I think we are down 30 percent over last year. I located birds on public land before season that were gobbling good. We had a freak ice storm/cold snap the first day of youths season and it seemed to flip a switch that we didn’t recover from the rest of the season. Some birds gobbled during season, but much less than before the weather switch. Some birds were henned up, but most just didn’t want to play. I saw zero jakes all season, so that doesn’t bode well for next year. I killed a bird today in Kansas, and there don’t seem to be a ton of birds here. I don’t have experience here to compare this year to though. Glad to finally get a bird to show for all my hunting in Florida, Arkansas, Oklahoma, and now Kansas. I QUIT........IF I DON'T KILL ONE SATURDAY ALL MY STUFF WILL BE IN MY FRONT YARD WITH A SIGN....."FREE TO A GOOD HOME"!!!!!!! In a nutshell, it sucked. silvestris wrote: In a nutshell, it sucked. I concur. That’s my season thus far in NY. I will give it another try next week before the closing. My season was about the same as always...another limit. Actually, it was a little better than most years. I found myself trying to slow down the season because it was going too good. Hunted far fewer days this season than I have for many years. OK- here in Orange County,NY- we had 5 NorEaster snowstorms in March. NY opens on May 1st. Then- plenty of rain into April followed by Winter to Summer like weather for 4-5 days and here in May- just one rainy day after another including a dangerous Wind Storm that knocked power out in plenty of areas of Orange County about 4 days ago. 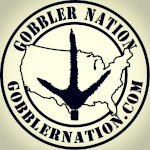 I managed to take 1 gobbler in NY so far . I think, I made NJ richer with buying 5 permits for 105 bucks and nary hearing a Gobble. All good though as, I am out there. I have until the 31st to take my 2nd Public Land Tom in NY. I was blessed to hunt another year. I hunted WMA’s South Carolina. Good gobbling but other hunters messed me up. Hunt some very good looking ground. Hope to put more scout in for next year. Hopefully that will put me on some Birds next year. I did not get a bird in SC. But I did find some great land to hunt next season. Plus I found great deer hunting spots too. North Carolina was good. Worked a bird off the Roost. Had him coming but a coyote spooked him away. Returned later in the day and was able to harvest a nice fat Jake. Did not get to hunt NC much more after that. I had to work a bunch. New Mexico was the best part of my season this year. Hunted for three days. I took my first two Merriam Gobbler. Mike, Where did you hunt in SC?? Great season, hunted less than usual, little different spring and little less gobbling but adjusted as needed. Watched my kids kill several and had a blast doing that. IMO bird numbers are down though. 4 tags 4 birds and filmed one of my buddy’s hunts for his first filmed bird!!! Managed to get a limit of 3 in Mississippi, but I hunted harder than I ever have to get it done. My 81 year old dad and my 18 yr old son both got their 3 way before me and they hunted very very little compared to the time I put in. Was in 2 clubs and my son and I ended up taking 5 of our 6 birds on nearby public land. Hard year mentally and physically. Season for me had its up and downs. I only bought 7 tags for 3 state's and filled them 4 died with crossbow 2 with 12ga and 1 with 20ga. Called one in for my cousin which was the quickest hunt of the season just 8 minutes from the time we sat at the tree and got my call out. Called for 2 different friends and they each shot a Tom with 20ga's. Called in one for my dad which we shot a double that morning. We haven't shot a double together for quite a while it was definitely one of the highlights of the season for me. Took a youth out to KS and called in 2 Tom's for him then took him out for MO youth and he missed but he got to watch the Tom breed a hen before he missed. Then called in 5 Tom's for the girlfriend and one of which supported the best hooks of the season 1 9/16" matching set. So I got to watch 18 Tom's die this season which is not as many as usual but some fun hunts and great memories were made. I would say mine was a fun one. Didn’t get to hunt as much as usual, bought just had the ability to be on birds about every time I went. Got to hunt 3 states, kill a few, and call several up for others. Good year. I would agree with others on numbers being down in many places though. Worked way more and hunted very little. Was only able to hunt 4.5 days in how state of Arkansas. Very little gobbling. Spooked a bird that slipped in silent so had one opportunity there. Bumped another trying to get in front of him. So, didn't make the most of limited opportunities. Got one morning in MO and did find a gobbler that wanted to die there. First time not killing an Arkansas bird in 15 years I believe. 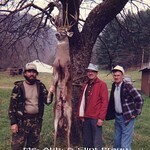 I was hunting in the Sumter National Forest south of Lockhart. And, of course, I missed one on the last day. With my new super, duper TSS loads of all things. But the gun and load can only do so much - the man behind the gun has to do his job, and I didn’t. That gun and load had 70 and 50 yard kills this year, then I missed at 30. Note sure which is worse, missing on the last day or missing at 06:30 opening morning at 25 yds. & never getting another chance! !